When you are producing digital media such as movies, music, video games and web content you really can’t afford to lose all of that valuable work. Let’s face it, some elements may have been irreplaceable. The perfect shot to end months of shooting on your latest film…just simply gone in the blink of an eye. Maybe you’re a screenwriter, and you’ve lost your latest script. It doesn’t matter what you’re working on…when you lose it…you just want it back. ACS Data Recovery has worked with hundreds of Digital Media professionals all around the world to help them recover lost data. Our company realizes, it’s not just about getting the data back, but it needs to be recovered in a usable format as well. That’s why we make ourselves familiar with all of the latest Digital Media tools that are used by the industry…Final Cut Pro, Adobe After Effects, Adobe Photoshop, Cakewalk Music Production, and many more. We offer special expedited service for studios, producers, writers, and game developers. In some cases we can turn around jobs in as little as 24 hours! If you have lost your data, and you need it recovered quickly by a leading data recovery company, then call 1-800-717-8974. We offer free evaluations on all work we receive, and there is no charge if the data is unrecoverable in most cases. Before we even look at your media, we invite you to call 1-800-717-8974 and speak with a data recovery professional. You won’t be greeted by some generalized call center representative, you will actually speak with someone who knows about data recovery and knows how the process works. You can even ask to speak with an actual data recovery technician. During the initial phone consultation, we will get as much information as we can about your situation and try to determine over the phone what exactly may have happened and how we would need to proceed with the recovery attempt, as well as giving you a fairly accurate price quote. After that we would simply have you ship your media to us for a free evaluation. There is absolutely no cost or obligation for us to look at your media and determine exactly what has happened, and find out whether the data will be recoverable or not. 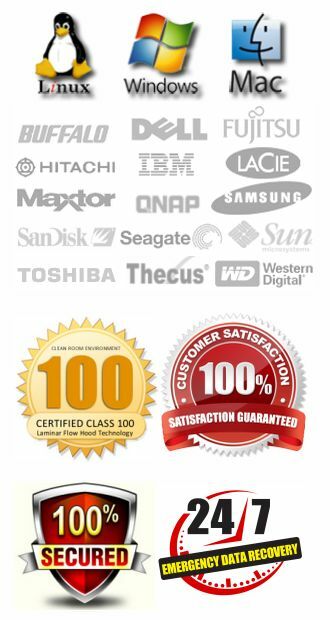 Once the evaluation is done, we will give you a firm quoted price for the recovery of your data. This price is guaranteed not to increase. We don’t proceed with any recovery attempts until we get your authorization first. Once you give us the green light to move forward, we get parts ordered if needed and we begin the process of getting your data recovered. In cases where a drive has physically failed, we will need to get it operational again and then the first step is to get the drive imaged. Imaging is essentially cloning the drive to another drive. After the drive is cloned, we set it aside and we simply work from the cloned copy. This guarantees that your original source data will not be altered in any way. We will then rebuild the file system and start pulling your recovered data and transferring it to the destination media. We will provide a destination drive up to 2TB free of charge, and return shipping is also included in the price. 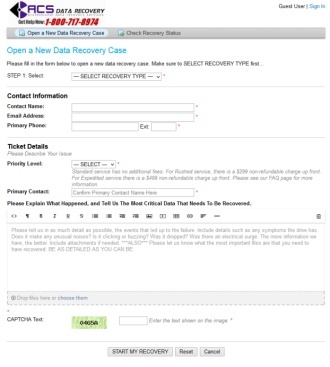 In the rare case that your data is not recoverable, there is no charge for the attempt in most cases. The only exception to this rule is when a drive has already been opened before we receive it or in cases with large RAID arrays consisting of more than 6 hard drives. If you need your data recovered, don’t hesitate to contact us at 1-800-717-8974. Professional Photographers – Few things could be worse for a photographer than losing a wedding shoot. Really any event that can’t be recreated. Some of our biggest clients are professional photographers who have suffered some sort of media failure, either a hard drive crash or a flash drive that is no longer accessible. We work with a wide array of tools to recover lost pictures and video files for Professional Photographers. Musicians – In today’s music world, almost everything is digital. We have recovered data for artists who have been in the midst of recording an album, either using Cakewalk or other recording software, and have lost everything. Their only option was to try and get the data recovered, or spend thousands of dollars in studio time re-recording all of the lost tracks. We can recover your lost data from hard drives and solid-state drives. 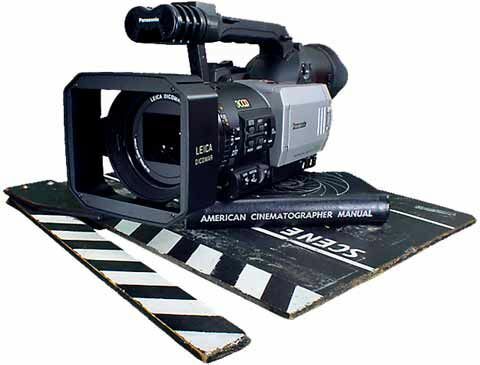 Filmmakers and Videographers – Our data recovery services are built around recovering lost data on any type of media. When it comes to filmmakers, reshooting a scene may be an impossibility or beyond the means of your existing budget. For videographers, if you’ve captured a poignant moment in the life of your client there may be no way to do that again. We recover data from all types of video mediums. Call for a quote. Video Game Developers – Coding and rendering can be a nightmare. It’s time consuming and it’s tedious. If you are coding a game, or any type of software, you can’t afford to lose your data due to a hard drive failure. Even if your data is backed up, you may have discovered the backup was corrupted or the most recent backup didn’t include critical files or renderings that may cost thousands of dollars to reproduce. Let us help you get your data back. Got A Clicking Hard Drive?